Zoe is a fun character with a witty and great personality. This book will put a spell on you to keep reading until the end. It ‘s a fun and compelling story, a mystery with a little fantasy, alchemy and humor. The mystery keeps you guessing. The villain will catch you by surprise. And the suspense will make you crazy, worrying about everything and how it will get resolved. 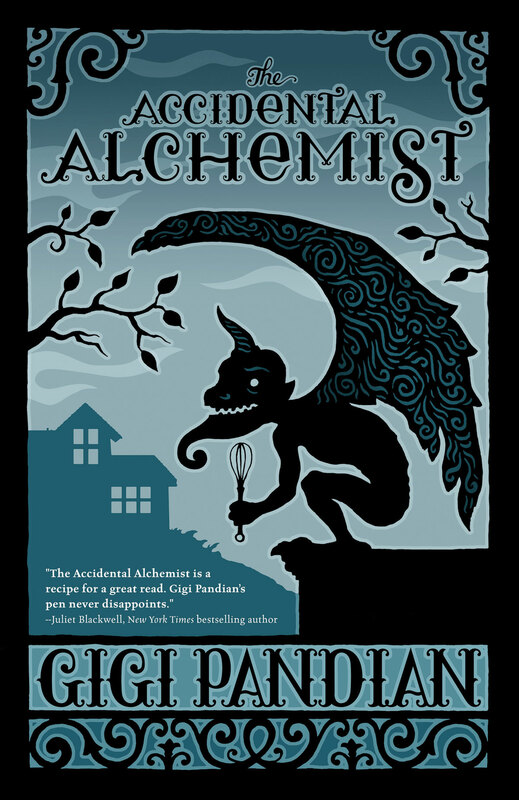 A cross between a cozy and paranormal mystery, The Accidental Alchemist by Gigi Pandian is a fun light read filled with interesting and colorful characters, good dialogue and a touch of magic. 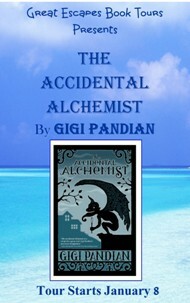 From USA Today bestselling author Gigi Pandian comes a modern tale of ancient intrigue. Unpacking her belongings in her new hometown of Portland, Oregon, herbalist and reformed alchemist Zoe Faust can’t help but notice she’s picked up a stowaway. Dorian Robert-Houdin is a living, breathing three-and-a-half-foot gargoyle—not to mention a master of French cuisine—and he needs Zoe’s expertise to decipher a centuries-old text. Zoe, who’s trying to put her old life behind her, isn’t so sure she wants to reopen her alchemical past… until the dead man on her porch leaves her no choice. Gigi Pandian lives in the San Francisco Bay Area with an overgrown organic vegetable garden in her backyard. A cancer diagnosis in her 30s taught her two important life lessons: healing foods can taste amazing, and life’s too short to waste a single moment. Therefore she writes the Accidental Alchemist mystery series while drinking delectable green smoothies and eating decadent home-cooked meals. 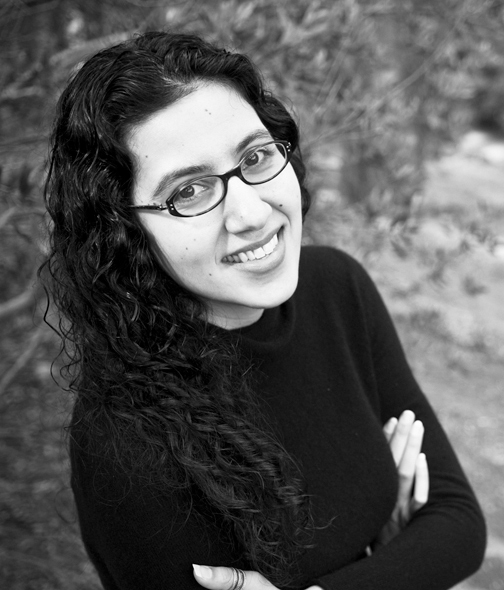 Gigi was awarded the Malice Domestic Grant for her debut mystery novel. She does not apologize for loving kale. Find her online at www.gigipandian.com. 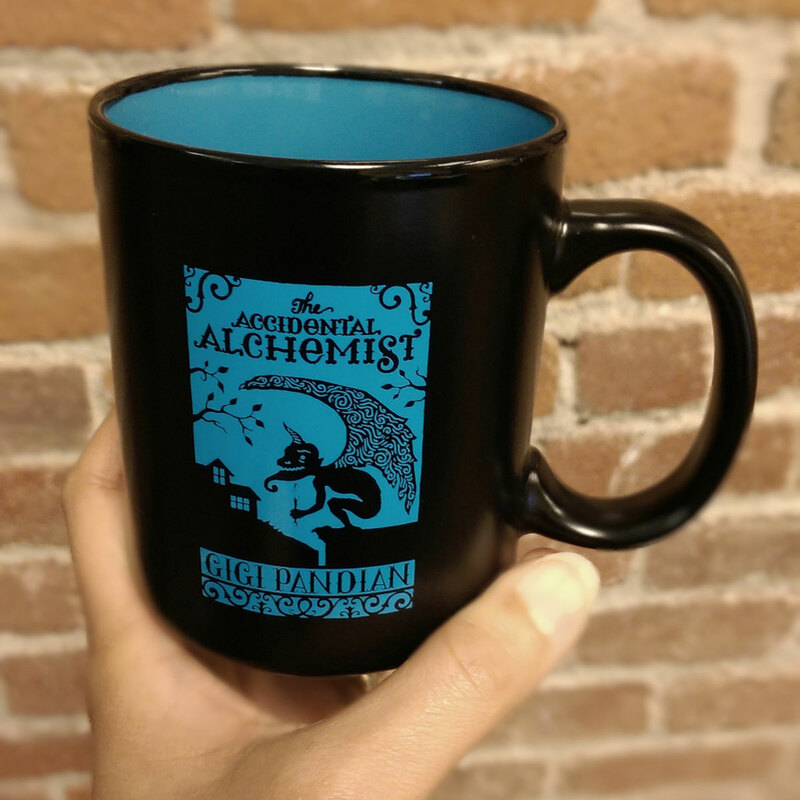 Books and Mugs will be given away!